South side of The Square in a small enclosure just south of the Grant Fountain. 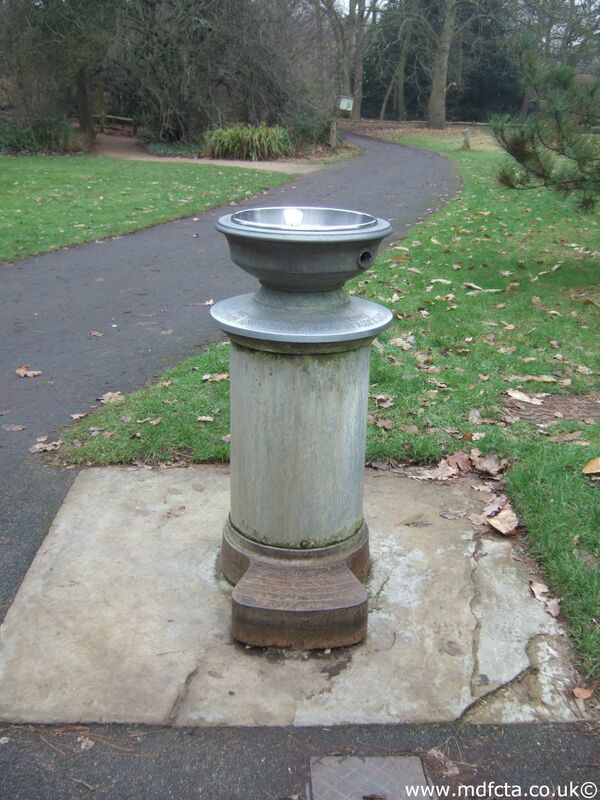 The MDFCTA records are very confusing and appear to indicate that three troughs all with the same number were erected under around fountain. Certainly there's only a single extant trough in Birchington Square. The trough is adjacent to this fountain.